This house has had many names (see below). 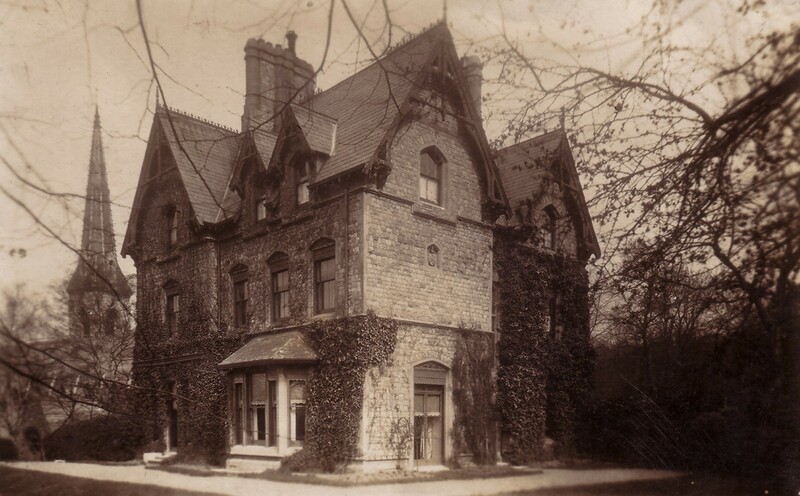 Now called "St.John's Wood House". 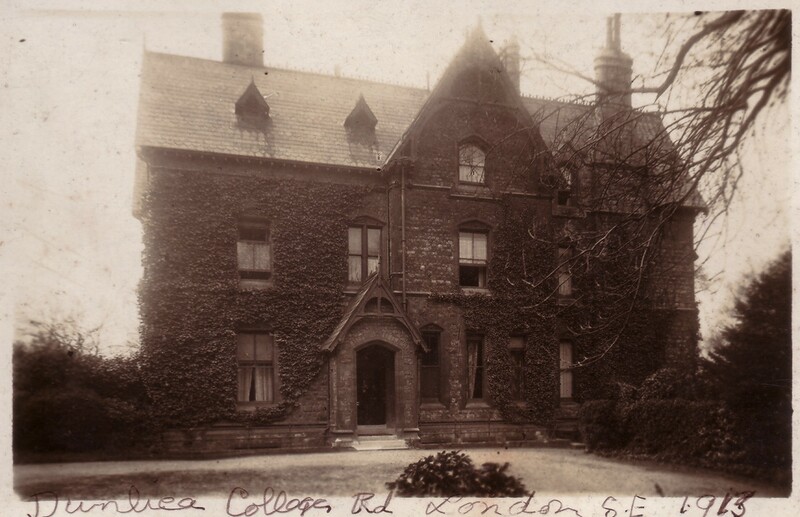 A tall, old-looking, detached house on College Rd (a pleasant road which runs between Dulwich College and a park), Dulwich (the S end of Dulwich, location also described as "South Dulwich"), SC London (London SE21). 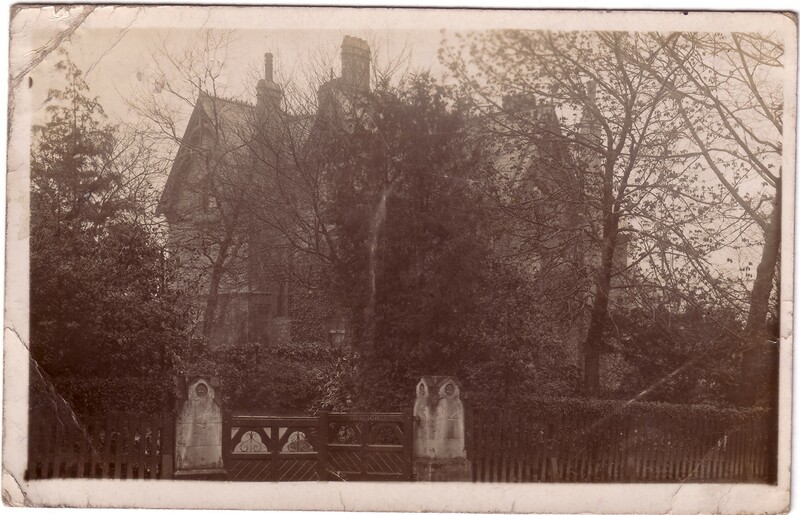 Heading S down the bottom of College Rd, the house is located just past the Parish Church of St.Stephen, just past Sydenham Hill station. The house is on the RHS (same side as the church), just past the church, on the bend in the road. See satellite view and 3D view and street view. 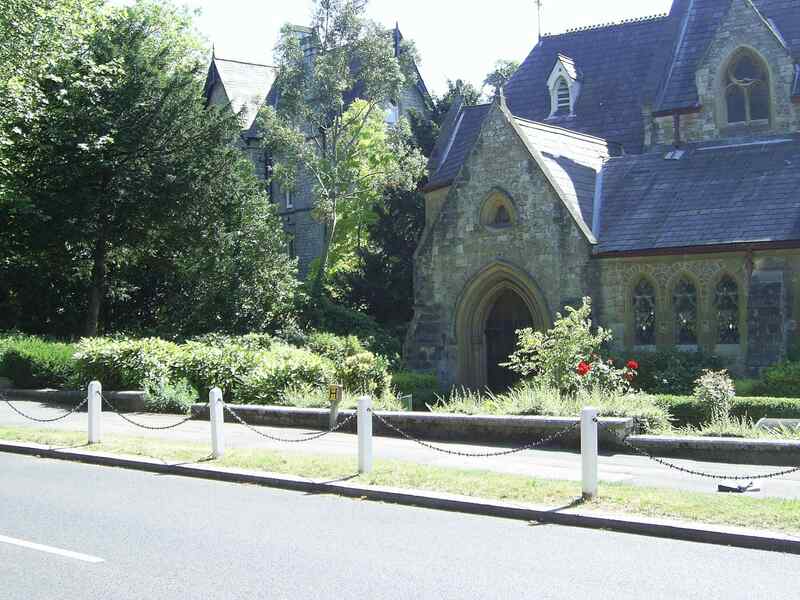 St Stephen's Church (C of E), "South Dulwich", was built 1867-75. 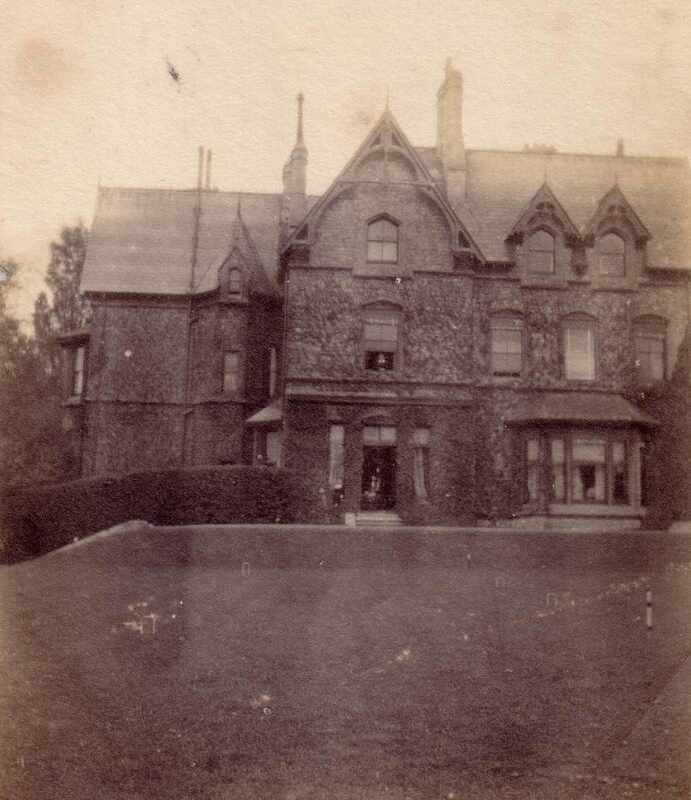 The house that was later called "Dunlica" was built 1867 as the vicar's house. "1867" is displayed in a stone on the side of the house farthest from the church. 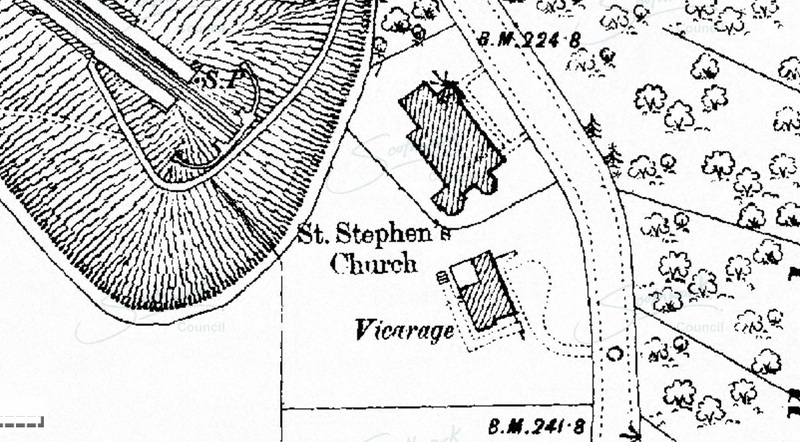 Still the vicarage on 1896 map. 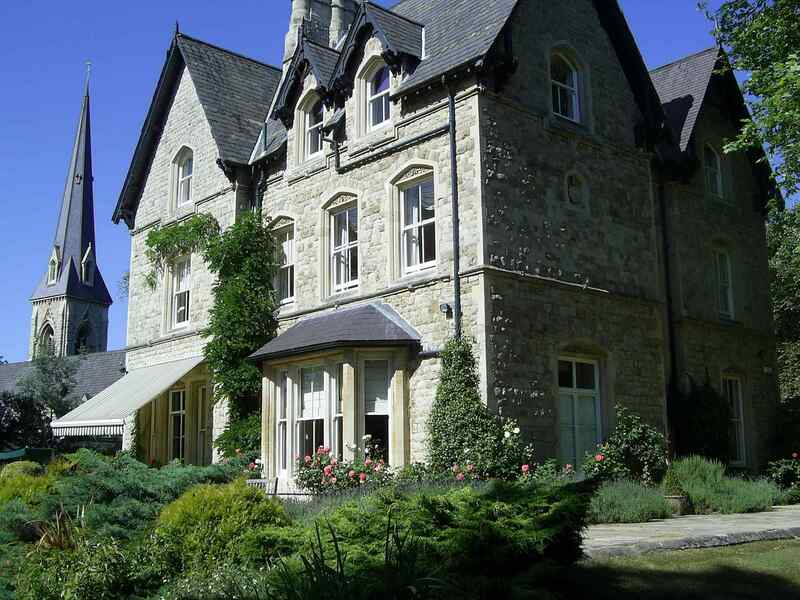 At some point the vicarage moved to a smaller house nearby. 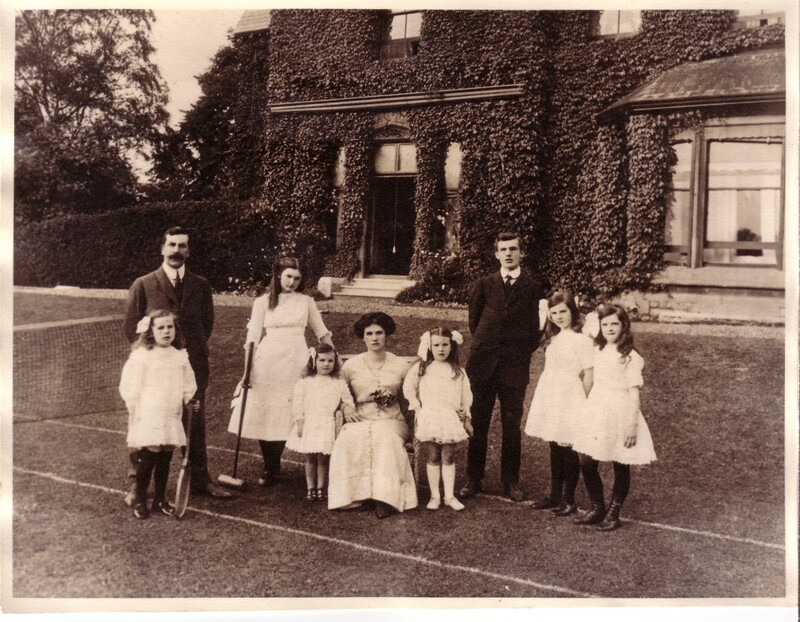 The house was the home of James O'Mara and family 1907 to 1914. They named it "Dunlica" after Dunlica Castle, Co.Clare, where James had proposed to his wife (probably in the summer of 1892). They pronounced it "Dun-lick-a", NOT "Dun-leek-a". They left 1914 to go back to Ireland (after more than 20 years in England). 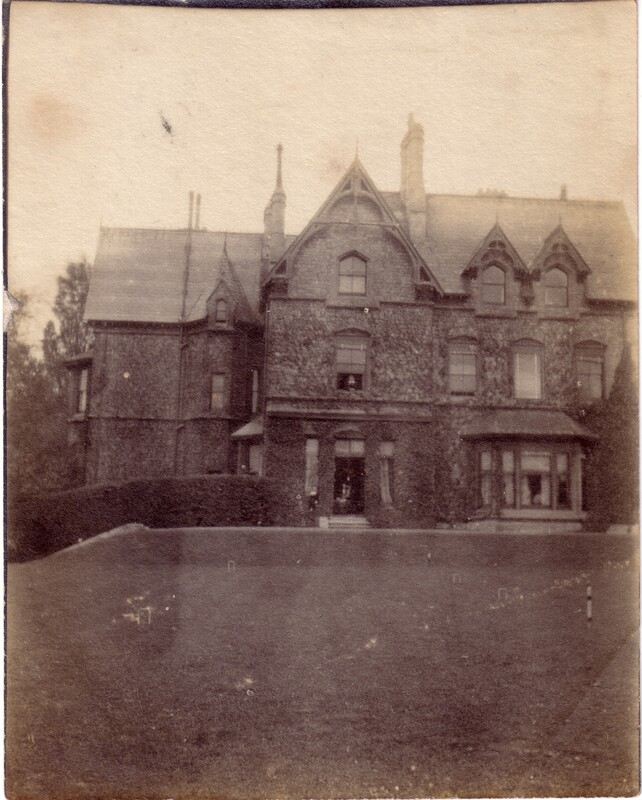 The house was then a hotel, "Dulwich Court Hotel". Had that name by 1927. Dulwich Court Hotel shown there on 1936-52 map. 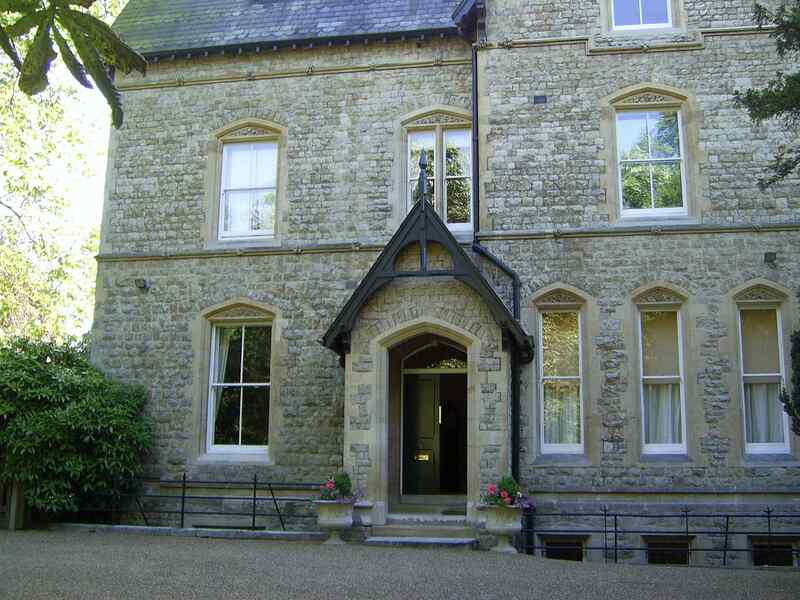 In 1950s-60s it was a Miss Sharman's children's home for girls. 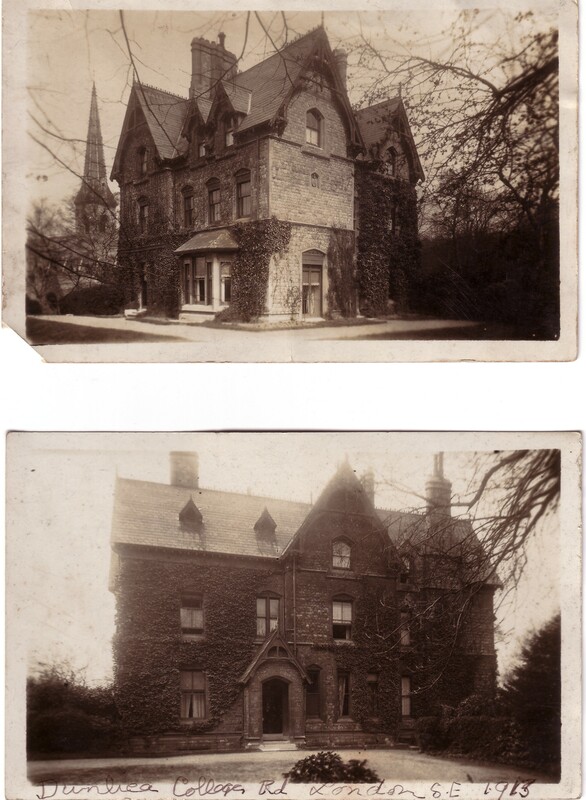 In late 1960s it became a Barnardo's children's home. It was derelict for a number of years. 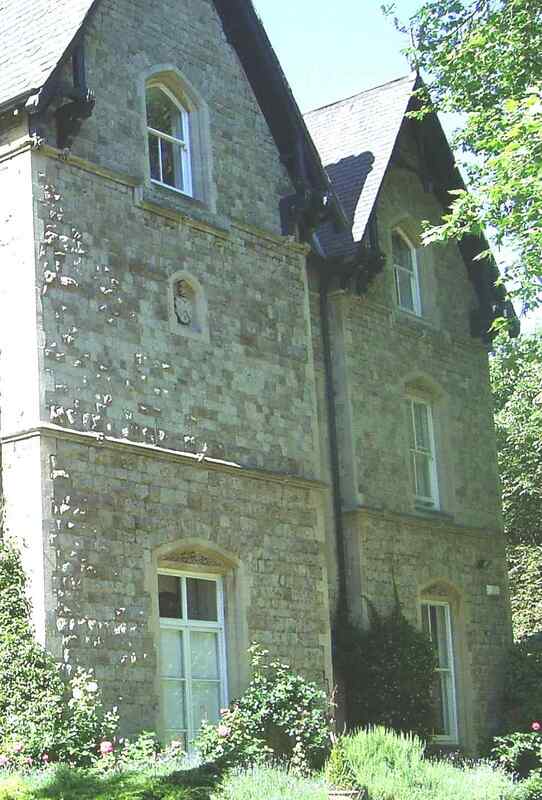 It was purchased 1992 and restored again as a family home. 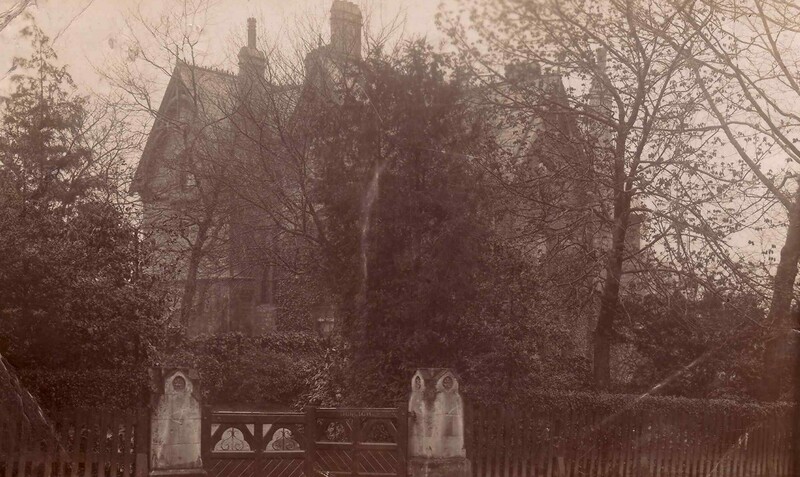 Now called "St. John's Wood House", 100 College Rd, a Grade 2 listed building. The garden was open to the public on a one-off "Open Garden" day in 2015. 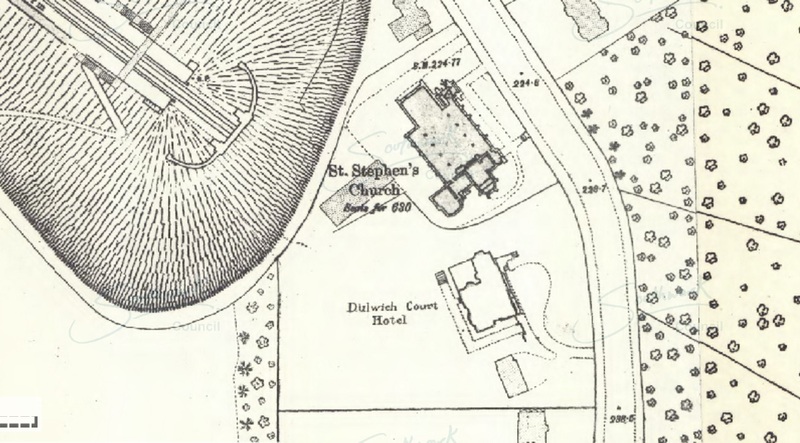 Dunlica (then the "Vicarage"), S of St Stephen's church, on 1896 map. Dunlica (now "Dulwich Court Hotel") on 1936-52 map. St Stephen's Church, showing "Dunlica" beside it (on left). Photo 2006. See full size and alternate shot. Entrance to "Dunlica", prob. 1913. Entrance gate to "Dunlica". Detail from above. 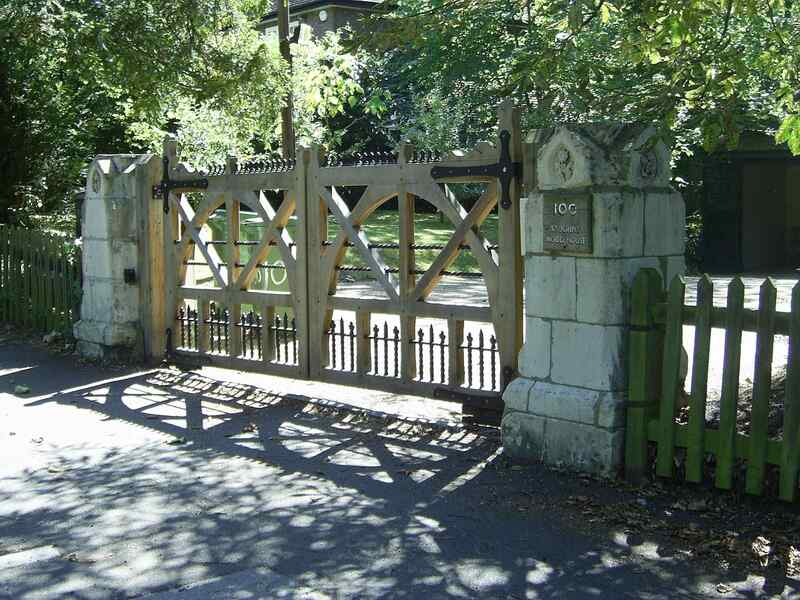 Entrance gate, 2006. Old gateposts still there. See full size and alternate shot. St Stephen's Church in background. "Dunlica", rear side, 2006. St Stephen's Church in background. See alternate shot and alternate shot. The side farthest away from the church, 2006. Light-adjusted detail of the above. See full size. 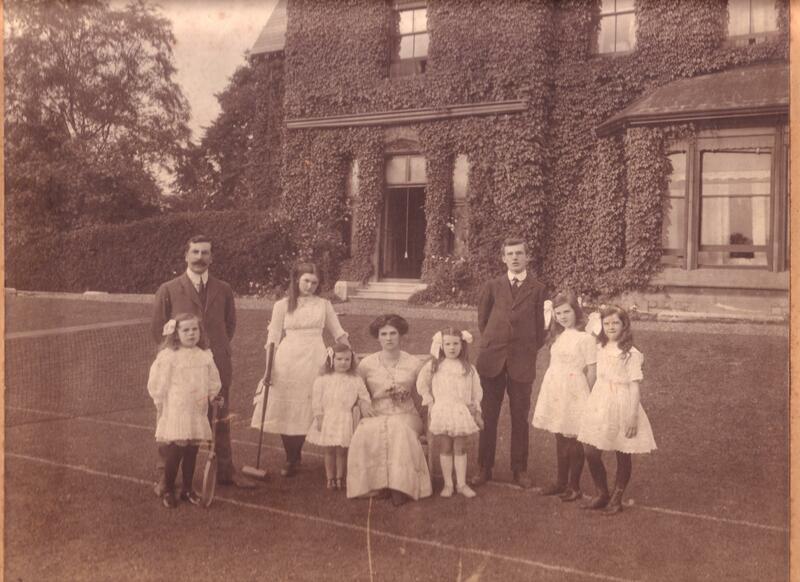 James O'Mara and his family, "Dunlica", London, 1912. Same side as above (rear side). 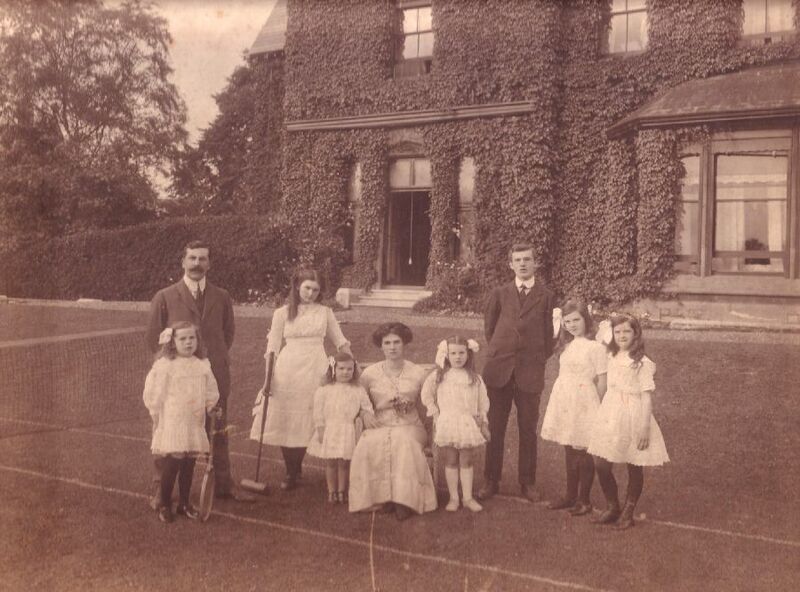 (Left to Right): Una, James O'Mara, Pat, Eithne, Agnes Cashel, Sheila, Steen, Maureen, Eileen. The garden looks here to be on the same level as the house, but the photo below shows this is an illusion. The garden is actually down a slope from the house. "Dunlica", rear side, Feb 1908. Shows that the garden is down a slope from the house. 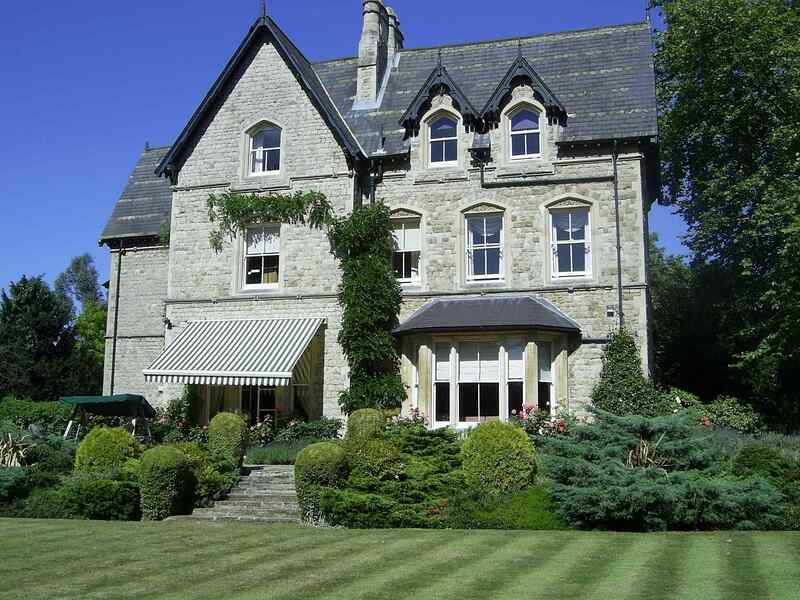 The lawn was derelict and overgrown for many years, but has now been restored. The level of the garden has not changed since the older photos above. Movie showing "Dunlica" from the back, 2006.